Scoffers will use so-called annual layers found in ice cores as an example that the biblical timeline is wrong. However, this technique has flaws that are similar to those used in dendrochronology. The assumption that one layer of ice equals one year was shown to be fundamentally flawed when aircraft that had to be abandoned on Greenland ice in World War II were found forty years later under 260 feet (80 metres) of ice. That is not supposed to happen according to uniformitarian ideas. The Genesis Flood is a far better model to explain what scientists observe. Scientists drill into the ice and extract samples. Unfortunately, their method of establishing dates for the cores are fraught with difficulties and circular reasoning. 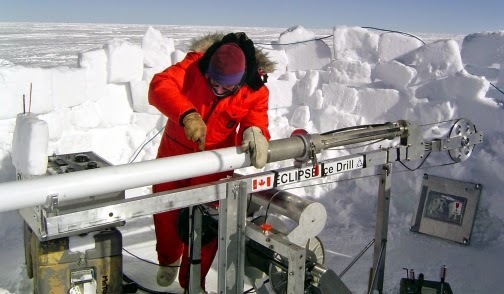 Glaciologists drill and extract cylindrical cores from high-latitude ice sheets and use different techniques to estimate the cores’ age at certain depths. Bible skeptics, like recent debater Bill Nye, claim these ice cores contain hundreds of thousands of annual layers, far too many for the Bible’s short timescale. However, two “dating details” negate this challenge. This short article is not boring. You can read the rest at "Do Ice Cores Disprove Recent Creation?"